Redlightcenter events: Utherverse Welcome Party Thursday, 6:00-8:00pm PT with On-Air Host DJ_Mano!!! 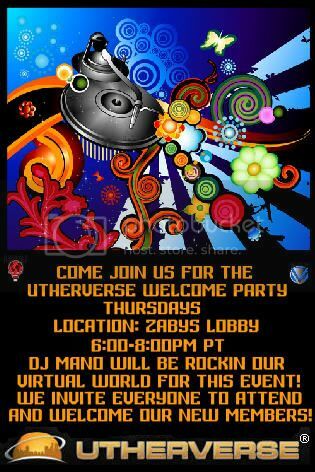 Utherverse Welcome Party Thursday, 6:00-8:00pm PT with On-Air Host DJ_Mano!!! The Utherverse Host/Ambassador Team and DJ_Mano invite both new and established members to attend this event and meet new friends!